Disney-Marvel’s upcoming comic book adaptation “Doctor Strange” should open somewhere between $60 million and $75 million, according to early tracking obtained by TheWrap. Among Marvel movie openings, those figures would put the title somewhere between 19th and 24th place for highest-grossing of all time. “Doctor Strange” will likely come in ahead of Sony’s “The Amazing Spider-Man,” which debuted to $62 million in 2012. 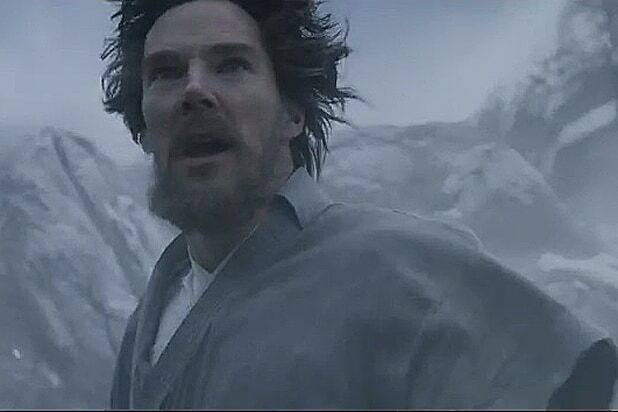 The Benedict Cumberbatch movie could come in ahead of Paramount’s “Thor,” which grossed $65.7 million during its opening weekend in 2011. If “Doctor Strange” opens on the high end of those estimates, it will come out ahead of Fox’s “X-Men: Apocalypse,” which was out earlier this year and debuted to $65.7 million. That’s a strong achievement for an original film — especially one based on a relatively unfamiliar comic-book property not previously seen on the big screen. Among Hollywood studios, Disney currently has the largest market share of box office grosses this year with $2.15 billion, or 24.5 percent. Warner Bros. is a distant second with $1.53 billion or 17.4 percent. “Doctor Strange” follows the story of talented neurosurgeon Dr. Stephen Strange who, after a tragic car accident, must put ego aside and learn the secrets of a hidden world of mysticism and alternate dimensions. Based in New York City’s Greenwich Village, Strange must act as an intermediary between the real world and what lies beyond, utilizing a vast array of metaphysical abilities and artifacts to protect the Marvel cinematic universe. The movie stars Benedict Cumberbatch, Chiwetel Ejiofor, Rachel McAdams, Michael Stuhlbarg, Mads Mikkelsen, Tilda Swinton, Benedict Wong, Amy Landecker and Scott Adkins. “Doctor Strange” opens in theaters on Nov. 4. It's always a grudge match at the box office. But the opening-weekend competition among certain titles this fall is sizing up to be downright cutthroat. Here are seven of the biggest showdowns by year's end. Two sequels and a biopic. Based off past installment performances, Lionsgate's "Blair Witch" should easily beat Universal's "Bridget Jones's Baby." Throw in Open Road's "Snowden," starring Joseph Gordon-Levitt and directed by Oliver Stone, and "Witch" might get some stiffer competition. "The Magnificent Seven" and "Storks" are catered to audiences that are nearly diametrically opposed: adults and teens vs. families with young'uns. But when it comes to box office grosses, MGM-Columbia's Western reboot starring Chris Pratt, Denzel Washington, Ethan Hawke and more is steeped in heated competition with Warner Bros.' animated comedy featuring the voices of Andy Samberg, Jennifer Aniston and Ty Burrell. Summit Entertainment's historical drama "Deepwater Horizon," starring Mark Wahlberg, will go up against Tim Burton's fantasy-book adaptation "Miss Peregrine's Home for Peculiar Children," from 20th Century Fox. Both appeal to wide audiences -- albeit relatively separate demographics. Since all three of these wide releases are sequels, we can pick a winner based on their respective debut grosses on past opening performance, the winner is (drum roll): "Boo! : A Madea Halloween." But don't count out "Jack Reacher: Never Go Back" with Tom Cruise. The lowest-grossing openings for Disney-Marvel movies have so far been between $56 million and $58 million. 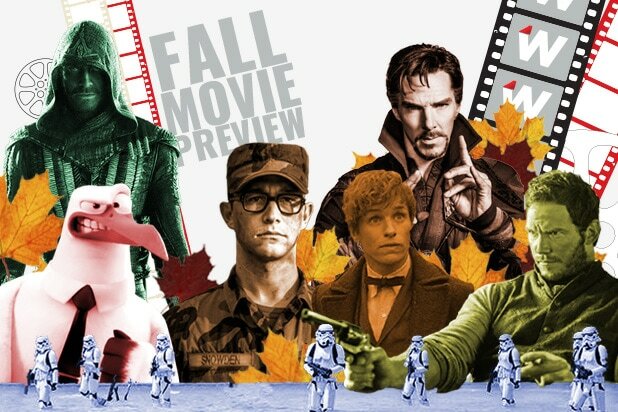 Assuming "Doctor Strange," starring Benedict Cumberbatch, exceeds both "Big Hero 6" and "Ant-Man," DreamWorks Animation's "Trolls" may face an uphill battle for box office supremacy. Still, it looks like it's sizing up to be a tight race. Directed by Robert Zemeckis and starring Brad Pitt and Marion Cotillard, historical drama "Allied" could be the adult pick during a weekend with a kid-geared flick, Disney's animated "Moana." Also "Fantastic Beasts and Where to Find Them" will be playing in its second weekend and could blow both openers out of contention for first place. There's something for everyone this weekend: "Assassin's Creed," a video-game-based fantasy film; space romance "Passengers," featuring superstars Jennifer Lawrence and Chris Pratt, and the animated comedy "Sing." All three should perform, but second-weekend holdover "Rogue One: A Star Wars Story" could cast a big shadow over all three.